Very exciting, Melissa! You’re in great company — and so are they. YAY, ROBIN. Thanks for the kind words–and for entering the draw! Ruth Nahmiash Nix is paying attention! Ruth wins the final code! Congratulations, Ruth!!!!!!!!!! Awesome!! Can’t wait to read these great books!!!! 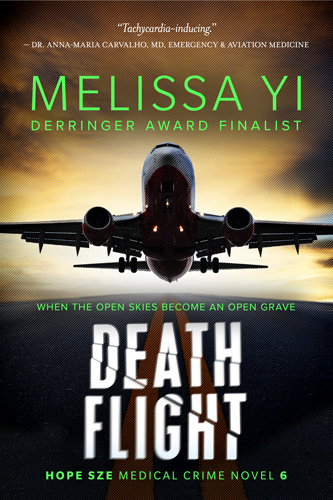 Melissa Yuan-Innes should I wait until you release the audiobook with you reading it out loud! One unexpected benefit is that I made a few new FB friends out of this. To honour that, Bill Howard wins the second-last code. Thanks for following MurderinCommon.com I’m looking forward to hearing from you! Thanks for reading Hope and visiting my blog too! Anne Mesaglio liked this on Facebook. Robin Rath Gaige liked this on Facebook. Julie Hyzy liked this on Facebook. Matthew Varrette liked this on Facebook. Patricia Minar Zubricki liked this on Facebook. Tina Dixon liked this on Facebook. Bill Howard liked this on Facebook. Natalie Strangelove liked this on Facebook. Michael La Ronn liked this on Facebook. Pati Nagle liked this on Facebook.